As we begin the countdown to Christmas, now is a great time to start scoping out the best spots for silly season shopping. Keep your dollar in small business and local economy this year by visiting one or a few of these great independent shops which have a range of amazing gifts on offer. Here's my list (in no particular order) of the best indie gift shops in Brisbane across the city from North to South and East to West. With a few vintage and retro shops thrown into the mix, you can make sure you're shopping eco-friendly as well. There are gifts for men, women and children along with a few stores which will have something for everyone. At the end of this article is a little breakdown of the best shops for each demographic to make it easier for you to find that special gift! 25. The Happy Cabin - For the man or lady in your life, this is a one-stop shop for gifts this season. Leah and her staff will be able to help you pick the perfect outfit, wallet, scarf or trinket for your loved ones. 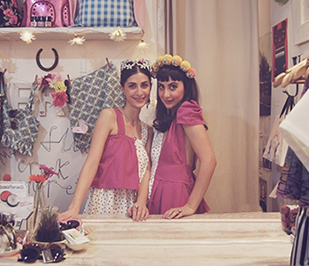 Indie labels from across the globe make up this gorgeous store and you'll be sure to walk out with bags of gifts. 24. Bowerbird - A new store in Oxley, this little boutique offers handmade gifts made locally and with love by creative artisans. Right nearby are great cafes if you need a break after your shopping is all done and dusted. Store owner Jenn will be on hand to show you the best artisan wares. 23. Side Street Vintage - For the vintage lover, you can't go past Side Street with it's upcycled and handmade gifts, reconditioned furniture and supplies for the avid crafter in your life. Let Tracey help you find something to make the recipient smile as they tear off the wrap this Christmas. 22. Paper Boat Press - If you like to pick up one-of-a-kind decorations for your tree and home, this is the perfect spot. Made in house by master ceramicist Kylie, you will find beautiful hanging birds, quotable tags and gorgeous vessels to adorn your home. 21. Voodoo Moon - This little store has stock hand-picked by mother and daughter team, Karen and Kasha can guide you to fabulous fashion clothing, unique and exotic jewellery, sweet incense fragrances and trinkets for your home. 20. Fats Comics - If you have a comic or pop culture lover in your house, Grant at Fats Comics will show you his extensive collection for sale in his tiny shopfront. You might have to dig for the best stuff but it will be worth it when you see the look on the recipient's face on the big day! 19. 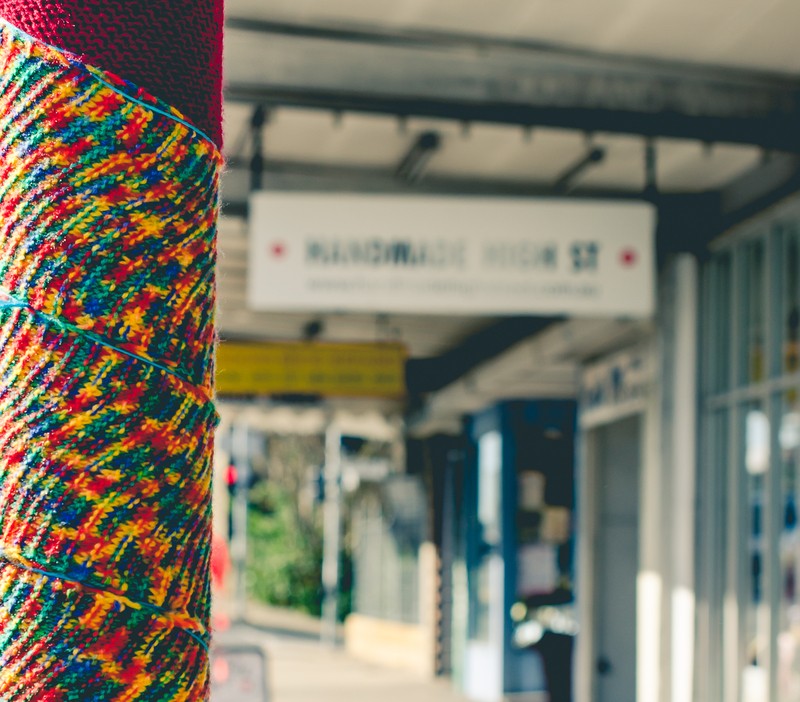 Handmade High Street - Pop in to one of Annerley's busiest Christmas stores this season to find handmade and indie designer goods made right here in Australia. Children's toys, jewellery and accessories are the items to tick off your list here! 18. Southside Antiques - Have someone who's hard to buy for because they have everything? I bet they don't have a vintage hat stand or a set of sterling silver teaspoons. Who wouldn't love a one-off retro gift which has a story to tell? Let the ladies at Southside Antiques show you their extensive collection for the perfect thing. 17. Verge Girl - For the teen or twenty-something girl in your life, this is the perfect spot to pick up something super fashionable to make her day this season. There are helpful staff to assist you in finding something which will suit your friend or family member and they offer gift certificates if you would prefer they chose their own! 16. Ecclectica - For the VERY hard to buy for, this shop of oddities and curiosities is the place to find something different or even strange. The staff here will help you find something which suits your budget plus they have tarot reading classes which you could purchase as a gift. 15. Ideology - In the small suburb of Banyo, there's a new kid in town when it comes to buying indie designer goods. With a focus on local, this shop has a visual feast to behold and you'll be walking out with bags of presents for the family. 14. Nook - Out of the front of a little house in West End is a little shop converted from it's front living rooms which holds some of Brisbane's best gifts, homewares, jewellery and accessorie. Run by local, Michelle, the shop feels homely and warm as her shop cat watches you find the perfect thing. 13. The Cottage Garden - For those with a penchant for gardening, this is a great spot to buy a plant or the perfect tool. There is also a great gift shop, antique centre florist and cafe on site. 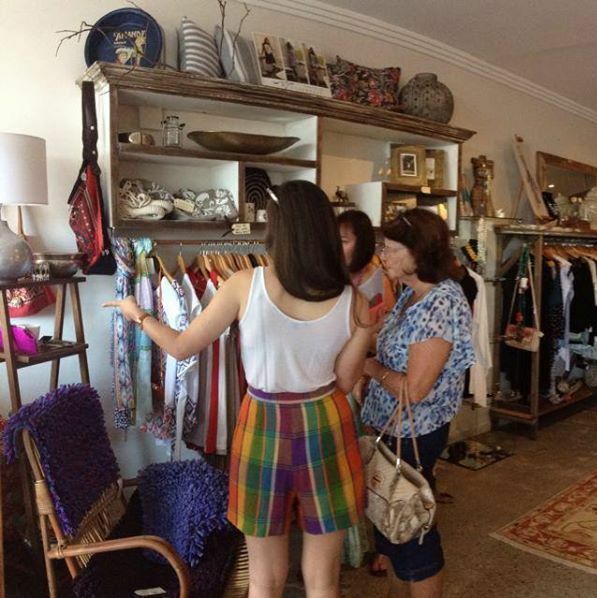 You can find beautiful ladies fashion and accessories or a vintage treasure for your friends and family. 12. 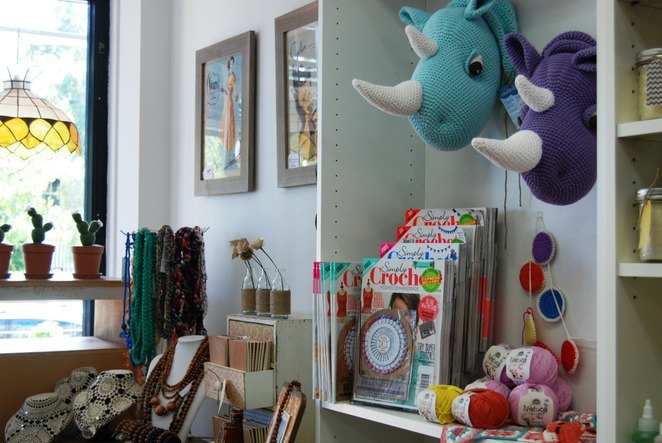 The Collective Store - The original handmade store in Brisbane, Leonie's store has the largest range of handmade goods in Brisbane. With custom gift wrapping, you don't even need to worry about paper and ribbon, it's all taken care of for you. With so much to choose from, you should be ready for your quick 5 minute trip to turn into an hour or so! 11. Dandelyon Gifts - Purchase homewares and gifts in this West End shop. They also have tarot and psychic readings if you have someone who loves the alternative arts - gifts vouchers are available! Find clocks, lamps, table cloths and much more in this beautiful little store. 10. Hullabaloo Bazaar - For eco-friendly and ethically sourced men's, women's and children's clothing and accessories, look no further than this cute little shop in West End. All products are bought from small businesses or individuals which have a clear focus on local and organic materials. 9. 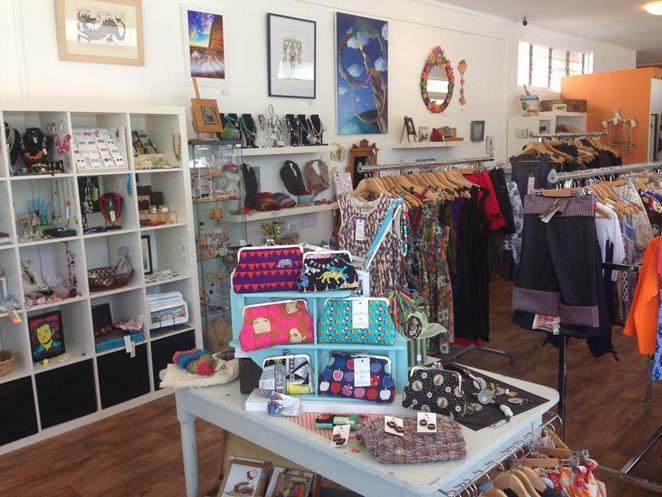 5 Quirky Cherubs - a collective of handmade and designer goods in the heart of Mitchelton. With it's sparkly purple floors and vibrant gifts, you will find something for even the most vivacious personality in your life. Focused on local, everything in store in handmade in Brisbane or Australia by independent artisans. 8. Don't Tell - For the fashionista or younger girl in your life, this is a great spot to get some fashion inspiration for a great Christmas present. It would also be the perfect spot to pick an outfit for Xmas Day or seasonal party with a wide variety of dresses, skirts, blouses and other beautiful pieces to wow your guests. 7. Maiocchi Paddington - A haven from bustling Given Terrace, this very bright and happy store has a myriad of fashion, accessory and children's choices to give as gifts this Christmas. The staff are friendly and chatty and you'll feel right at home as you peruse the laden shelves. 6. Voodoo Rabbit Fabric - For the fabric lover in your life, head down to Voodoo Rabbit in East Brisbane to buy quirky fabrics, notions, patterns and a variety of other crafty kits. A gift voucher would be a real winner for your seamstress friend as they can choose their own. 5. Stalks and Stems - Give beautiful flowers, plants, skincare of gifts from this beautiful Bulimba florist. Arrangements by owner Belinda-Marie who has over 14 years experience and will make bouquets to drool over for your Christmas table or just to give to that special someone. 4. Hobohemia - Blink and you'll miss it on Paddington's bustling Given Terrace but this little house on the shopping strip is practically bursting with all the vintage, retro and eccentric oddities within it's walls. Perfect for the rockabilly, retro-lover or picky friend or family member. 3. Betty's Shop - Tucked away in Annerley Arcade is a tiny shop with a whole lot of lovely vintage items for you to choose from. Gorgeous linens and brilliant jewellery pieces accent a huge variety of special clothing and retro trinkets. For the vintage lover in your life, this is worth the trip. 2. Avid Reader - For the bookworm in your life, it's nice to find a bookshop which still exists and consistently carries a range of new and unique titles. This little bookstore also has gift cards, journals and wrapping paper for all your Christmas needs and they will even wrap your books for you! 1. Presents of Mind - Probably the best shop in Brisbane for gifts for everyone in your life. Games, Puzzles, Toys and Gadgets are their specialty and all the staff are knowledgable and friendly. On Saturday's one of their staff can demonstrate specific games and toys so you can make a more informed decision. If you go to one shop this Christmas Season, make it Presents of Mind. Great list; you have lots of interesting independents in Brisbane. This story is now bookmarked and will come in handy whenever I am stuck for a gift. I would have liked the suburb mentioned for each shop. But otherwise good job. What an awesome list of local retailers, I've only just recently moved to Brisbane so it will be great to check out some of this quirky little stores. Thanks Kath!